Phillip Island Circuit is going to be a hive of activity during September and into October with various race meetings, starting with Shannons Nationals on September 8. The big event is the Australian Motorcycle Grand Prix on October 22, when Phillip Island becomes host to thousands of bike enthusiasts. With the spring school holidays beginning in September, the circuit is a fun place to entertain the children. At the visitor centre the kids can race each other on the slot car track, the race simulators or on the go kart track. 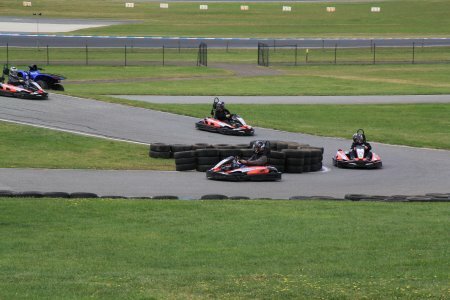 The go kart track is a scale replica of the Phillip Island Grand Prix Circuit. Tandem karts, with dual controls, are available so younger kids can enjoy the experience. Attendants give pre-drive instructions to ensure a safe race for all plus a few tips on issues such as how to re-start after a spin-out. After the “race”, drivers receive their time and placing. Who will get bragging rights? Strap yourself in for a lot of fun! For real speed thrills, visitors can take a hot lap of the circuit in a V8 race car with an experienced driver. 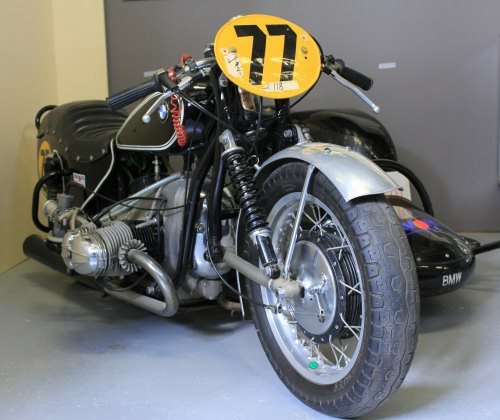 A must see is the History of Motorsport Display, with many wonderful early racing cars and motorcycles and an insight into the history of the sport. Make a day of it with lunch at the Champions Café. Harry’s on the Esplanade has undergone a makeover with a more minimalist contemporary look. Although sleeker, there is still a relaxed, summery atmosphere. When we visit in winter the verandah is closed but the views over Westernport to the mainland remain. As much as possible Harry’s sources produce and wines from Phillip Island and the Gippsland region, with their beef coming from Phillip Island grass fed Angus cattle. Being winter, the menu includes some hearty dishes and soups. In summer I imagine Harry will have more of his famous seafood dishes. 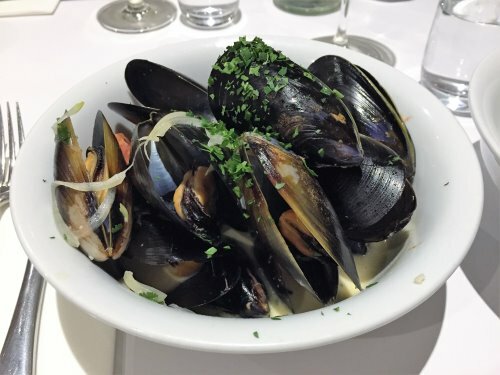 For starters I choose the mussels in a broth of tomato, chilli and garlic – a bit messy but delicious. Mains include your choice of steak cut and sauce, with other options including duck, fish and lamb dishes. 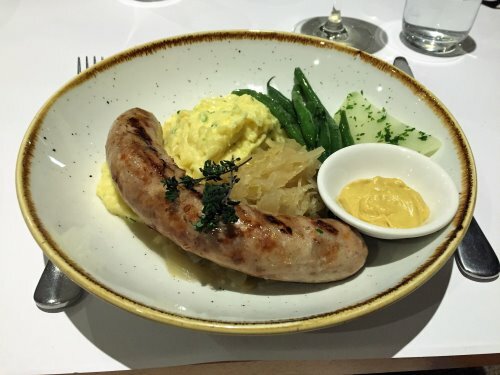 The German bratwurst with sauerkraut and creamy potato mash appeals with the low temperatures outside so is my choice! Friendly staff, yummy food and unrivalled views equals an enjoyable night. A reservation is a good idea and probably a necessity in summer. 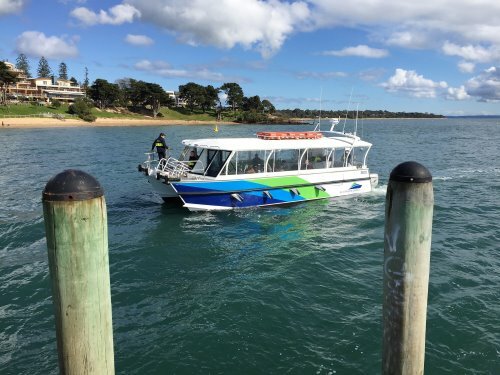 The last few months locals and visitors will have noticed a new ferry on the Cowes/French Island/Stony Point run. Westernport Ferries is operated by the same company which runs the well-known Sorrento to Queenscliff service. The number of services will be increased with a new daily service running directly from Cowes to Stony Point. The new schedule will start in September and the current 39 seater catamaran will be replaced in late September by a new vessel, “MV Naturaliste”, with a capacity for 95 passengers. The MV Naturaliste is named after the French vessel which mapped the Westernport area in April 1802. Captain Hamelin gave names to several places - Ile des Français, now called French Island, one of the names which have survived. The quicker service direct to Stony Point from Cowes and vice versa will be a boon for visitors, with passenger numbers expected to increase. Day trips to French Island are still possible. For those wanting to take a pushbike the only difference is there is now a small fare for bikes. Passengers can bring a dog on the ferry although it must be leashed and is restricted to the external decks - guide dogs are an exception of course. Luggage and freight are permitted. Bookings can be made online or you can pay on board.